An integrated, universal approach to the Sustainable Development Goals (SDGs) and the post-2015 development agenda is essential, according to the 2015 issue of ‘Our Planet,’ a publication from the UN Environment Programme (UNEP). UNEP Executive Director Achim Steiner discusses the importance of integration, universality, climate change mitigation, governance and accountability, and financing. He writes that linking the SDGs with climate change mitigation will help countries build energy-efficient, low-carbon infrastructure and achieve sustainable development. In an article by Tommy Remengesau, Jr., President, Palau, he explains that healthy, productive, resilient oceans are critical to preserving and restoring the balance between humans and nature, and ensuring economic prosperity, food security, health and culture, particularly in Small Island Developing States (SIDS). Remengesau advocates for a stand-alone SDG on oceans, and says Palau’s national conservation efforts must be “amplified and augmented by work at the international level” in order to make a difference. UK Environmental Audit Select Committee Chair Joan Walley cautions that reducing the number of SDGs “risks relegating environmental sustainability to a side issue,” and could shatter “the carefully negotiated consensus.” She also argues for communicating the goals to the public, particularly youth. Other articles address: the European Commission’s (EC) energy and climate framework, which will promote a low-carbon, resource-efficient economy; the UN Environment Assembly’s (UNEA) role in moving towards an integrated, universal approach to the SDGs; the role of central banks in shifting towards inclusive, environmentally sustainable development; a carbon pricing system; national accounting systems and inequalities; and chemicals and hazardous substances, among other issues. Did you know we executed 8 comprehensive Climate Change projects in 2014? The Caribbean Community Climate Change Centre, widely known as the 5Cs, is a Centre of Excellence that thrives on coordination, collaboration and partnerships. The best way to deal with climate change is by integrating it into other development goals, says Ilan Kelman. Climate change is a major challenge — and it sits among many other major challenges targeted by the post-2015 development goals.Biodiversity, health, education, energy and others influence and are influenced by climate change. So goals about them will also mean action on climate change. Development goals that focus on the root causes of sustainability challenges bring people together; they also minimise the risk that goals will interfere with each other. But highlighting a single environmental driving factor such as climate change can be counter-productive. Climate change action is usually separated into two categories, despite continual calls for merging them. The first is ‘mitigation’, which refers to reducing emissions and increasing the removal of greenhouse gases. The second is ‘adaptation’, which means reducing climate change’s adverse impacts and exploiting its positive impacts.Several of the currently proposed Sustainable Development Goals, outside of Goal 13 on climate change, already address both mitigation and adaptation. By design, mitigation is addressed through Goals 7 on energy, 12 and 14 on resources, and 15 on land use, among others. Achieving sustainable resource management and preventing pollution necessarily means reducing fossil fuel dependency while increasing energy efficiency. And a goal to reduce all pollution, by definition, tackles greenhouse gases.Within pollution-prevention goals (such as 6 and 14), quantitative targets could be developed for a long list of specific emissions, including those associated with climate change. Having a goal that selects only one, such as carbon dioxide or carbon dioxide equivalent, excludes many persistent organic pollutants and smog contributors.Similarly, growing and protecting trees is important for mitigation. Butconsidering all ecosystems together — as done by the goals on water, resources and land use — is more effective because it gives people sustainable livelihoods based on using natural resources without harming ecosystems. That addresses the root causes of sustainability problems and must necessarily achieve mitigation without excluding people or sacrificing other ecosystems for forests. Adaptation involves actions such as managing waterways to avoid extreme floods and droughts, protecting built heritage sites against freeze–thaw cycles and helping people who cannot afford temperature control inside their homes to survive hot and cold spells. Such actions are needed irrespective of climate change. And such actions were indeed being implemented — as part of disaster risk reduction for all hazards — long before climate change became a major concern. If goals seek reduced disaster risk across all hazards, including climate-related ones, then adaptation is incorporated by definition. For instance, rather than proposed Goal 13.1 being to “strengthen resilience and adaptive capacity to climate induced hazards and natural disasters in all countries”, it could say “strengthen disaster risk reduction in all countries”. If development goals aim for adaptation only, without aiming for disaster risk reduction across all hazards, then resilience cannot be achieved. What does this mean in practical terms? Hospitals ought to be built outside floodplains that are likely to expand due to climate change. But they could still collapse in the next earthquake — so they should be multi-hazard resilient, not just adapted to climate change. That requires goals encompassing, but extending beyond, adaptation. Before the 2010 earthquake, Haiti had prepared a National Adaptation Programme of Action for the UN and created a climate change division within the Ministry of the Environment. We can never know whether this focus on climate change distracted from preparedness for other hazards such as earthquakes. But we do know that Haiti’s underdevelopment, and the exploitation of its people and natural resources by external powers, led to systemic, engrained disaster risk — including from climate-related hazards and hazard drivers. Poor governance, poverty, inequity and lack of livelihood choices contributed to that risk. We also know that solving chronic political problems of resource sharing, power relations and corruption could support disaster risk reduction, including adaptation. How does this happen? When people have the power and resources to collaborate within their community, become involved in political and decision-making processes, and make their own life and livelihood choices, they often start calling for and implementing disaster risk reduction measures. Haiti has never been given that chance. Conversely, mitigation and adaptation can contribute to development and sustainability, but never give the complete picture. They do not have to address the full range of drivers that fuel poverty, such as power relations and inequity. It would be just as counterproductive to aim to make Haiti entirely earthquake-resistant without considering climate change. We could write development goals for every hazard and hazard driver. But that detracts from goals supporting sustainability irrespective of any hazard or hazard driver. Isolating climate change, making it a field unto itself with goals unto itself, can backfire by neglecting wider sustainability topics. Placing climate change within the wider contexts of disaster, development and sustainability will tackle both adaptation and mitigation, but not at the expense of other concerns. No sector should neglect climate change and no sector should be dominated by climate change. Over 80 percent of the Caribbean Sea is polluted from land-based sources and activities such as deforestation, untreated waste-water, oil spills, agricultural runoff, farm waste and litter. This affects livelihoods, health, economies and ecosystems. To address these problems, pollution experts from across the Caribbean met recently at two meetings. 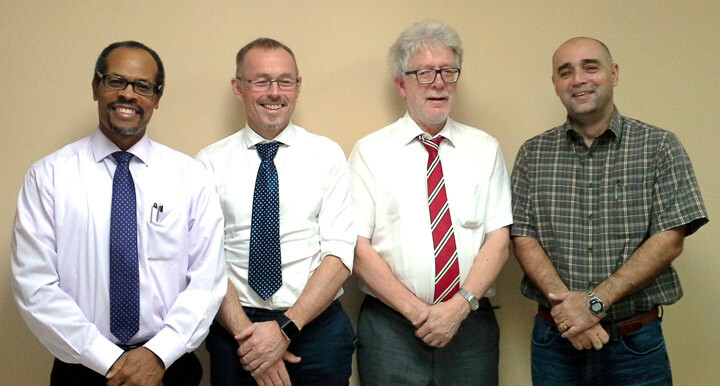 The seventh steering committee meeting for the Regional Activity Centre — Regional Marine Pollution Emergency Information and Training Centre for the Wider Caribbean (RAC-REMPEITC). 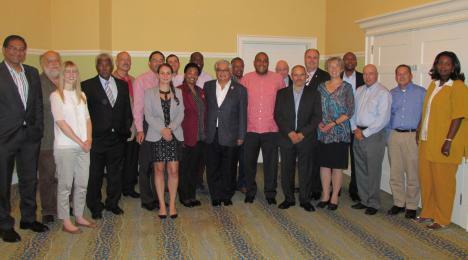 That May 20-12 meeting in Curacao focused on an oil spill protocol for the region. The second meeting was of the scientific, technical and advisory committee (STAC), to the protocol concerning pollution from land-based sources and activities (LBS STAC 2).The June 1-14 meeting in Nicaragua, which was hosted by UNEP’s Caribbean Environment Programme (UNEP CEP), was being staged for the second year. UNEP CEP and the government of Curacao agreed to the continued hosting of the regional activity centre in Curacao that supports the protocol concerning cooperation in combating oil spills in the wider Caribbean region (oil spills protocol). UNEP CEP to work with oil spill regional centre to provide technical support to countries affected by oil pollution including dispersants and rehabilitating areas contaminated with oil. UNEP CEP to develop stronger partnerships with the GPNM (global partnership on nutrient management) to improve nutrient management within the wider Caribbean region. UNEP CEP and partner agencies to develop activities which will enhance the implementation of the LBS Protocol with specific reference to ship generated waste, air pollution and pre-treatment of industrial effluent found in domestic waste-water. Christopher Corbin, programme officer for the assessment and management of environmental pollution at UNEP CEP, noted that these meetings were critical to evaluate the status of pollution in the region and to identify future priorities. The recommendations from the technical meetings will be presented to the thirteenth meeting of the contracting parties to the convention for the protection and development of the wider Caribbean region, which will be held in Cartagena, Colombia. In this International Year of Small Island Developing States, ocean, seas and biodiversity have been listed as priority areas. Management of pollution can be addressed by education, stakeholder engagement and a commitment to tackling these issues and it is anticipated that these regional and global efforts will result in action. 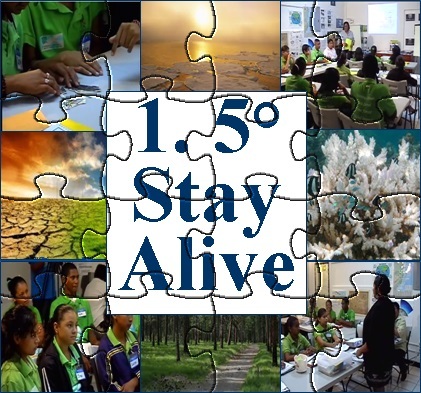 The Caribbean Community Climate Change Centre‘s 1.5 Stay Alive curriculum and associated resources is now available. 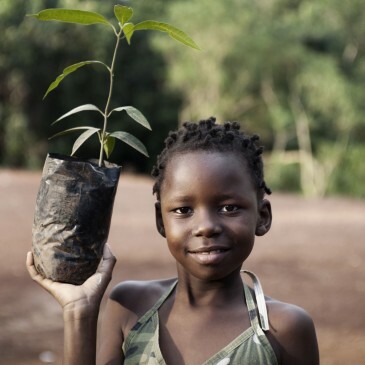 Cognizant of the threat Climate Change poses to the region’s survival and continued development, the Centre launched the 1.5 ˚C Stay Alive campaign ahead of COP15 in December 2009. The two tiered campaign sought to sensitize citizens across the Caribbean Community about the impact of Climate Change on livelihoods in the region, and make a convincing case at the global level for the reduction of GHG emissions to a level not exceeding 350 ppm (parts per million) as an effective means of stabilising global warming. As the UN launches its first report on the post-2015 MDG consultations, CDKN’s Amy Kirbyshire reflects on what the 5th Africa Drought Adaptation Forum taught us about how resilience can be measured and incorporated into the post-2015 development framework. The failure of the Millennium Development Goals to take disaster risk into account is considered a major gap in the current development framework around the globe. This is one message to emerge from the report The Global Conversation Begins, presented by the UN last week, which documents initial findings from consultations around the world on the post-2015 Development Agenda. While disaster resilience is much more difficult to measure than, say, disaster mortality, the consultations to date have clearly shown a preference for this more positive framing by the global Disaster Risk Reduction (DRR) community. In addition, the consultations devoted to DRR have recommended a standalone goal on DRR, as well as incorporating DRR into other development goals. The standalone goal will ensure visibility of disaster resilience, and will also provide an opportunity to better address the interface between global development frameworks and those for DRR, climate change adaptation and conflict. This presents a challenge. To have a standalone development goal on disaster resilience, some degree of consensus is needed on what it really means to be resilient and how we can measure it, among other things. Last month, more than 250 participants from governments, regional bodies, UN agencies, NGOs and academia attended the 5th Africa Drought Adaptation Forum (ADAF5) in Arusha, Tanzania. Their discussion of methodologies and indicators for measuring community-level resilience to drought in Africa highlighted just how complex developing a new goal for disaster resilience will be. As Catherine Fitzgibbon from UNDP Drylands Development Centre put it, resilience is the flipside of vulnerability. Couched in positive language, it encourages thinking about where we want to be, rather than what is missing. It is multifaceted, dynamic and constantly changing. It means different things to different people, so identifying it and measuring it is a real challenge. Working with communities in drought-prone regions of Africa, the UNDP Drylands Development Centre has provided some answers to what it means to be resilient. Under the Quantitative Impact Assessment for Community-based Drought Risk Reduction Initiative, it asks groups within communities to think about what factors help people cope in times of drought and the characteristics that define a resilient community. The top ranked factors are taken to be that community’s resilience indicators. To measure their resilience, the community estimates the proportion of households that meet the resilience criteria during a ‘normal’ and ‘bad’ period. By grouping the indicators under the five categories of the Sustainable Livelihoods Framework (SLF: physical, natural, social, human and financial capital), and by mapping the ‘normal’ and ‘bad’ values against those categories on a spider diagram, the community’s level of resilience becomes clear. More resilient communities exhibit less difference between a normal period and a bad period. The use of the SLF also helps to facilitate comparison across different communities. Using the findings of the research, the UNDP Drylands Development Centre has developed a list of common indicators for governments to routinely collect data on, to help map and measure changes in resilience over time. This model, known as the Community Based Resilience Assessment (CoBRA), is best suited to communities that experience systematic shocks or disasters, as these are likely to present a clear consensus on what constitutes a ‘bad’ period. Common indicators include year-round access to water, education, health care, access to credit, social safety nets, peace and stability, and large cattle herds, among many others. Assessment data collected so far suggests that the long-term key to building resilience is education, particularly the completion of secondary and tertiary schooling. This leads to better jobs and support for families by providing money to invest in other livelihood activities. Therefore, scholarships might be a good long-term resilience-building intervention. While such initiatives could contribute to shaping a resilience-based development goal by helping to define what resilience is and how it can be measured, other questions also need answering. For example, agreement is needed on ‘what should we be resilient to?’ and should we be focusing on disaster resilience (i.e. 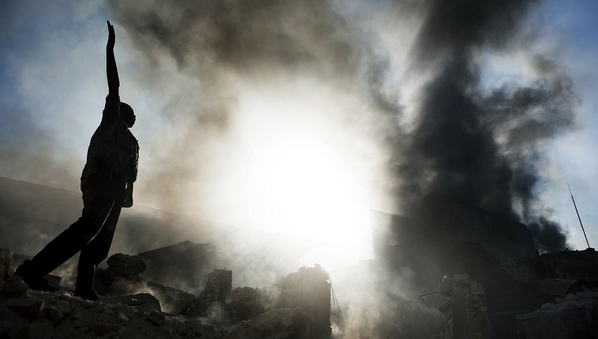 to natural hazards), or resilience to all shocks? Furthermore, a community’s resilience will be preconditioned by wider governance and structures; how can we build this in? As was clear from break-out group discussions at the ADAF5, such consensus does not yet exist. Fundamentally, delegates disagreed over whether it is possible to have a globally applicable ‘meta-indicator’ for resilience generally, or whether resilience necessarily relates to specific hazards such as drought or to specific contexts. The prevailing view among delegates was that there could be a meta-indicator for disaster resilience in the post-2015 development framework, but it would need to be a composite of sub-indicators, to reflect the wide variety of factors that influence the overall picture. We need a resilience index, they said, that includes a number of factors and can be tailored to specific contexts. The group favoured a composite linked to physical, natural, social, human and financial capital, as in the SLF. This resonates with calls from the post-2015 DRR consultations for a resilience framework, the implementation of which would involve a multidimensional risk index reflecting different themes and integrated risk assessment models. While the development agenda cannot address all DRR concerns, it is clear that DRR must be incorporated into the next iteration of the MDGs. Past experience has helped us recognise what is needed, and why. If resilience is to be the vehicle, as experts seem to broadly agree, discussions such as those held in Arusha have much to offer proponents on the ‘how’ that will be required to bring the new goal to fruition.